In 2017, organic food sales in the US reached a whopping $49.4 billion (1). We know that organic food is food that may be produced without the use of harmful pesticides and other synthetic food additives. But then, how does organic food really make a difference? Is it actually going to boost your health? Let us help you find answers to such questions. How Is Organic Food Different From Regular Food? What Foods Should You Consume That Are Organic? Organic Or Not? How Do You Check? ‘Organic’ refers to the way farmers grow and process agricultural products, which involves enhancing soil and water quality, reducing pollution, and enabling safe and natural livestock habits and behaviors. Organic farming practices don’t allow the use of synthetic fertilizers and pesticides unless they are plant derived. In addition, these practices don’t include the use of antibiotics, growth hormones (to livestock), or genetic engineering. Foods (fruits, vegetables, grains, seeds, etc.) produced from such methods are often considered healthier and far more nutritious (2). However, further research is warranted to allow for valid conclusions. Some studies show that organic foods have more beneficial nutrients like antioxidants than their conventionally grown counterparts. There is need for more research, simply because only a few well-controlled studies exist that are capable of making a valid comparison. It is challenging to make such a generalization and should be made with caution. However, there are some studies that suggest that organic agriculture may contribute to optimal health status and also reduce the risk of developing chronic diseases (3). All of this shows us how organic food can be better. Now, we shall get into the specifics. Studies show that organic food offers little to moderate increases in certain nutrients. This is especially true in the case of some flavonoids that possess antioxidant properties (4). Research is ongoing, though. Animal studies show slightly higher levels of ascorbic acid (vitamin C) content in organically grown green leafy veggies and potatoes. Also, organically grown cereal crops contained better quality protein (5). 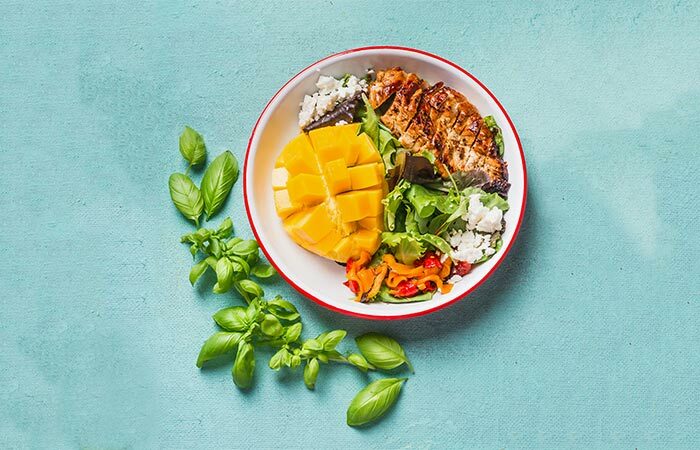 People who consume organic food tend to choose more fresh veggies, fruits, and wholegrain products and are, therefore, more likely to live healthier lives and have a far lower risk of chronic diseases (6). Organic produce contains higher levels of bioactive compounds. It also may contain lower levels of unhealthy substances (like cadmium and synthetic pesticides and fertilizers) when compared to conventional agricultural products (3). Some studies hint at the need for more research. 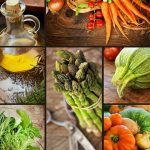 A study conducted at the University of Oxford found that intake of organic food showed little or no reduction in the incidences of cancer (7). Some animal studies show that intake of organic foods may boost your immunity. After a health challenge that hurt the immune system, chickens receiving organic feed demonstrated faster recovery (8). In the same study, chickens fed with conventionally grown feed showed a higher overall weight gain in their lifespan. This wasn’t the case with organic feed. Organic food may have higher levels of vitamin C – and also of better quality. Studies show that vitamin C can help slow down aging (9). Organic food is good for the environment, which means it is good for us. Organic agriculture, where organic food comes from, considers the long-term effects on the ecosystem. Organic food is produced with the aim of establishing an ecological balance, thereby maintaining soil fertility and preventing pest problems at the same time (10). The use of organic fertilizers (like animal manure or compost) for producing organic food also improves soil structure and prevents water pollution. Organic food also prevents topsoil erosion. Since soil is the foundation for organic farming, the food produced through such practices benefit the environment (11). The use of GMO (genetically modified organisms) is prohibited in organic foods. To meet the USDA organic regulations, farmers are required to show they aren’t using GMOs in their produce (12). Although GMOs may not all be bad, the topic itself is hazy as of now. GM foods available in the international markets are not likely to harm human health – thanks to strict regulations (13). Research is still being done, though. Until studies are conclusive, continue to exercise caution with GM foods. Research tells us that when plants grow organically without the use of synthetic pesticides, their taste is enhanced. Higher antioxidant levels (which are characteristic of organic foods) can affect the food’s organoleptic qualities – including the sensations of aroma, taste, and mouthfeel. Taste can be subjective. But even if certain individuals find organic food tasting better, they are only more likely to continue with it. Thanks to the abundance of antioxidants, organic food helps fight diseases like coronary heart disease, stroke, and even some cancers – all of which are caused due to oxidative stress (14). Now you know why organic food may be better than regular, conventionally grown produce. But then, what do we actually mean by conventionally grown produce? How is organic produce different? Apart from the way they are produced, another difference is the antioxidant content – organic food is found to have relatively higher levels of antioxidants (15). Those were the differences between organic and regular produce. Does this mean you need to only pick organic food from now on? That might be a little heavy on your pocket, right? 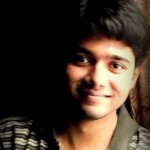 Any alternatives? There are certain foods, which, as per research, are more likely to get exposed to harmful chemicals and pesticides during their production. According to the Environmental Working Group, an American activist group that specializes in agricultural research and advocates clean eating, following are the conventional foods that are most likely to contain pesticides. EWG labels them as the Dirty Dozen*. Peaches 99% Conventional peaches were found to contain an average of 4 pesticide residues. Spinach 97% Conventional spinach had high levels of permethrin, which is a neurotoxic insecticide (16). Grapes 96% Grapes were found to contain an average of 5 pesticide residues. Celery 95% A sample of conventional celery contained nearly 13 pesticides. Nectarines 94% One sample of conventional nectarines contained residues of 15 pesticides. Apples 90% 80% of the apples tested contained diphenylamine, a pesticide found to be toxic (17). Sweet bell peppers 90% Pesticides in conventional sweet bell peppers were found to be toxic to human health. Tomatoes <90% An average conventionally grown tomato was found to contain nearly 4 pesticides. Potatoes <90% Conventional potatoes were found to contain chlorpropham, a herbicide that was found to cause diarrhea and vomiting (18). Pears 50% Conventionally grown pears contained high concentrations of pesticides, including fungicides and insecticides. Strawberries 33% A strawberry sample contained 22 pesticide residues. Cherries 30% Conventional cherries contained an average of 5 pesticides. Conventional varieties of these foods are found to have high concentrations of pesticides. If you need to pick these foods, going for organic varieties works best. ** Values sourced from the official website of EWG (20). ***Sweet corn and papayas may be produced from genetically modified seeds. Hence, choose the organic forms of produce for these foods. If you want to go for these foods, you may pick the conventional variety. Of course, nothing beats organic. But if you are under a budget, it is alright to stick to conventionally grown forms of these foods. That said, how can you identify organic foods if you have chosen to go organic? How to pick the right ones? Thankfully, the USDA (United States Department of Agriculture) has established a program with strict government standards that help us identify almost all organic foods (21). These standards also regulate how organic produce is grown, handled, and processed. “100 percent organic” – Used on certified organic fruits and vegetables, eggs, meat, and other single-ingredient and multi-ingredient foods (excluding water and salt). These may have the USDA seal. “Organic” – This description means at least 95% of the ingredients of the product are certified organic. The remaining non-organic ingredients would be from a list of additional ingredients also approved by the USDA. These may also have the USDA seal. “Made with organic” – This means at least 70% of the ingredients in the product are certified organic. The remaining non-organic ingredients would be from a list of additional ingredients also approved by the USDA. These may not have the USDA seal. “Organic ingredients” – This can mean that less than 70% of the ingredients in the product are certified organic. This may not have the USDA seal. 2. You can also check for the Price Look-Up sticker. The sticker contains a code that helps you identify if the particular food is organic (22). Conventionally grown foods have a 4-digit code (conventionally grown apple: 4050). Organic foods have a 5-digit code, starting with the digit ‘9’ (organic apple: 94050). Genetically engineered foods have a 5-digit code, starting with the digit ‘8’ (genetically engineered apple: 84050). 3. Check for their appearance. Organic foods must appear more natural. Ideally, they shouldn’t be all bright and shiny. The more irregular their size, the better. Also, pick seasonal produce. This prevents you from picking foods in the wrong season (which could have been artificially produced with the use of pesticides). The Seasonal Produce Guide from USDA can be of help. You can access it here. There is still a lot of research going on with organic food. Studies carried out so far have determined two outcomes – one that shows how organic food can be better than conventional food, and the other that shows how it is no better than the latter (23). We would like to conclude by stating that organic food is a better option, and it may offer additional benefits. What about you? What do you think? Do let us know by leaving a comment in the box below. No. While organic means the way a particular food is produced, natural simply means the absence of artificial colors, flavors, or preservatives in the food. One major reason is the way it is produced. Since organic food doesn’t involve the use of synthetic chemicals, it takes a longer (and the natural) time to produce organic crops. This makes it expensive. Also, the prevention of synthetic chemicals calls for the use of more labor – thereby increasing the cost. “Organic industry survey” Organic Trade Association. 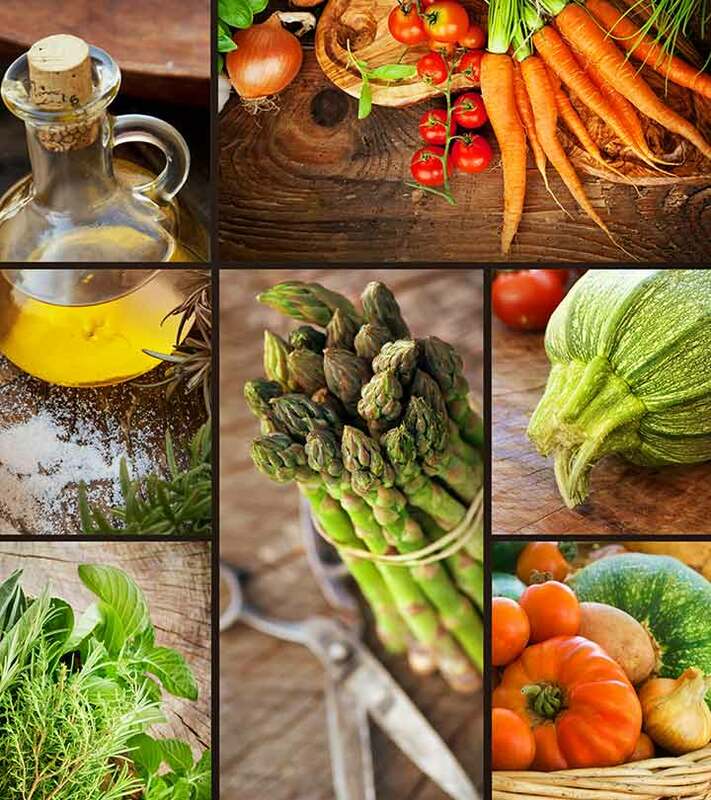 “Organic foods: do they have a role?” Forum of Nutrition, US National Library of Medicine. “Organic food and the impact on…” Critical Reviews in Food Science and Nutrition, US National Library of Medicine. “Organic foods: Are they safer?...” MayoClinic. “Organic food: nutritious food or food for thought?” International Journal of Food Sciences and Nutrition, US National Library of Medicine. “Profiles of organic food consumers in a…” PloS One. “Organic food consumption and the incidence…” British Journal of Cancer, US National Library of Medicine. “Effects of organically and conventionally produced…” The British Journal of Nutrition, US National Library of Medicine. “The roles of vitamin C in skin health” Nutrients, US National Library of Medicine. “What are the environmental benefits of…” Food and Agriculture Organization of the United Stations. “Organic food: is it truly better for the…” The University of Vermont. “Organic 101: Can GMOs be used in organic…” US Department of Agriculture. “Frequently asked questions on…” World Health Organization. “Major study documents benefits of…” Washington State University. “Higher antioxidant and lower cadmium…” The British Journal of Nutrition, US National Library of Medicine. “Permethrin” US National Library of Medicine. “Diphenylamine” United States Environmental Protection Agency. “Chlorpropham” US National Library of Medicine. “Dirty dozen: EWG’s 2018 shopper’s guide to…” Environmental Working Group. “Clean fifteen: EWG’s 2018 shopper’s guide to…” Environmental Working Group. 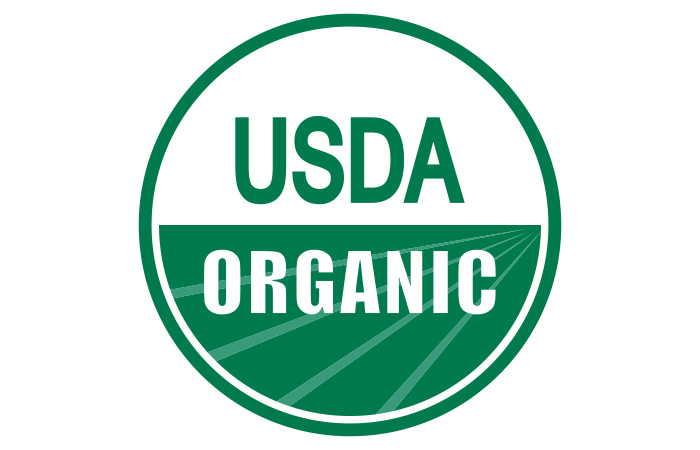 “Organic 101: What the USDA…” United States Department of Agriculture. Understanding “organic” New Jersey Department of Environmental Protection. “Nutrition-related health effects of...” The American Journal of Clinical Nutrition. 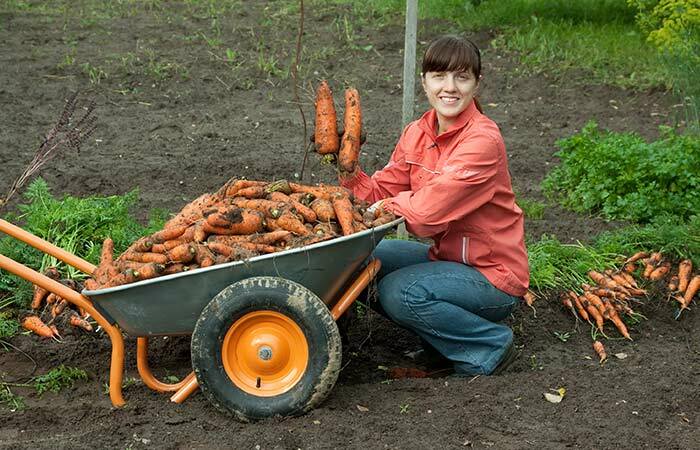 What Happens When You Switch To Organic Food - Unbelievable!